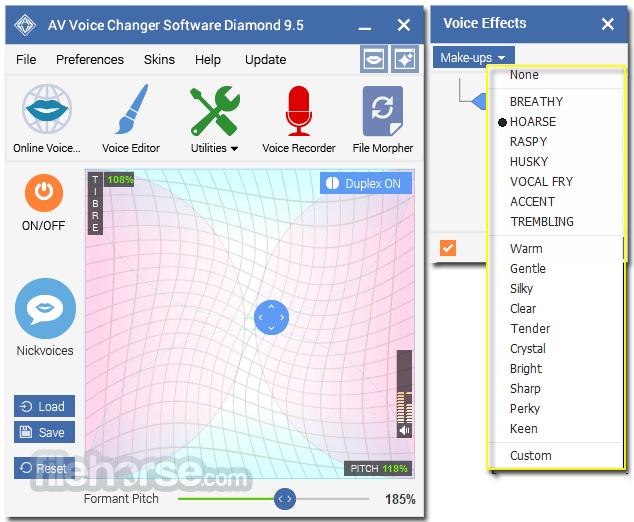 The best online voice changer tool that can change/modify voice in real time! AV VCS DIAMOND can intercept and change not only the recording but also the playback and the DirectX audio streams. You can morph sound files, for example, MP3 files played on a sound player installed on your system. AV VCS DIAMOND has its own sound Recorder which makes it easy for you to record and save your conversations, morphed voice messages, as well as modified songs. 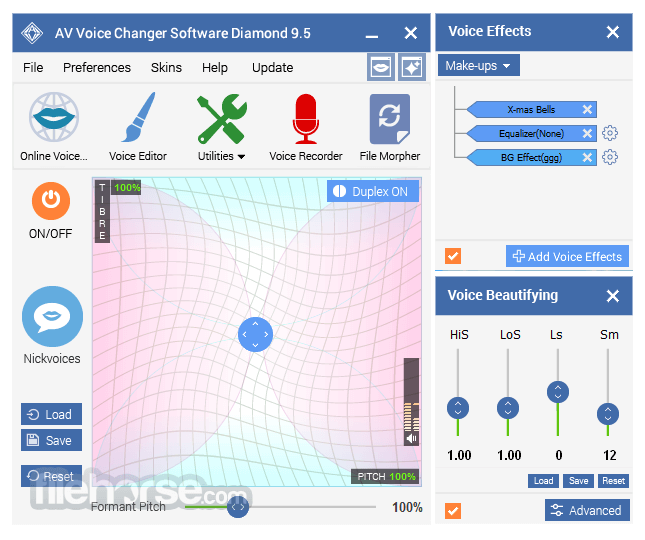 AV VCS DIAMOND has a built-in Voice Comparator - now you can morph your voice into the voice of famous artist or singer. 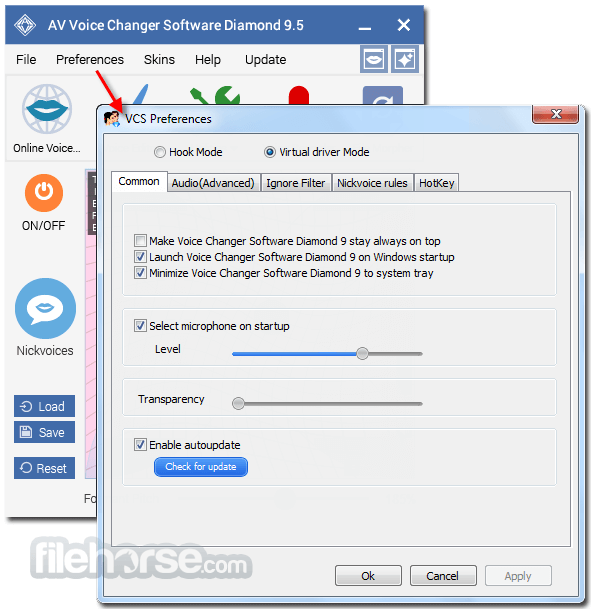 AV VCS DIAMOND can automatically start recording, generate names for new recordings, and save them in the folder that you have selected. AV VCS DIAMOND has a built-in sound Player - you don't have to switch to another application to play back your favorite song. Note: 14 days trial version. 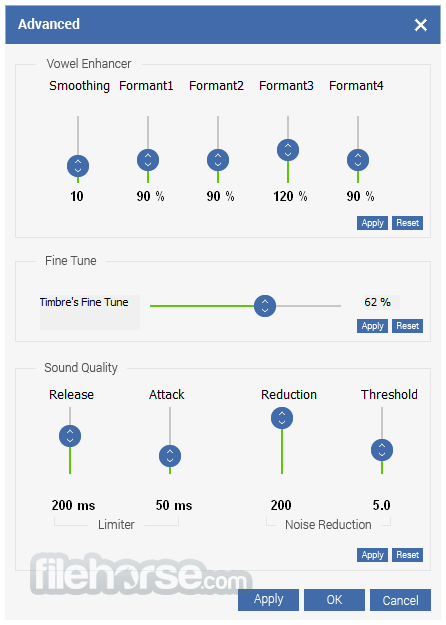 Limited number of preset nickvoices, comparator voices, voice packages, audio effects. Recording time limited to 5 minutes.